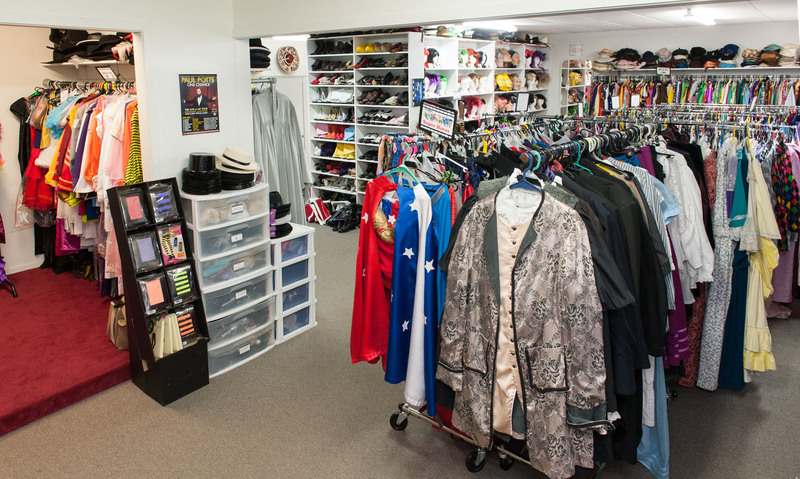 Outback West essential bling and weaponry. 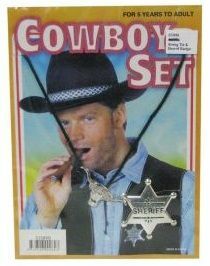 Western character set consisting of a silver sheriff badge and silver bull horn neck tie. 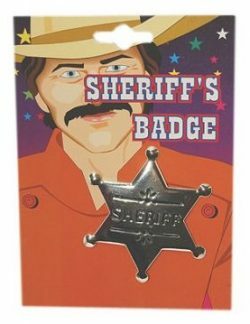 Silver Sheriff badge that slides on. 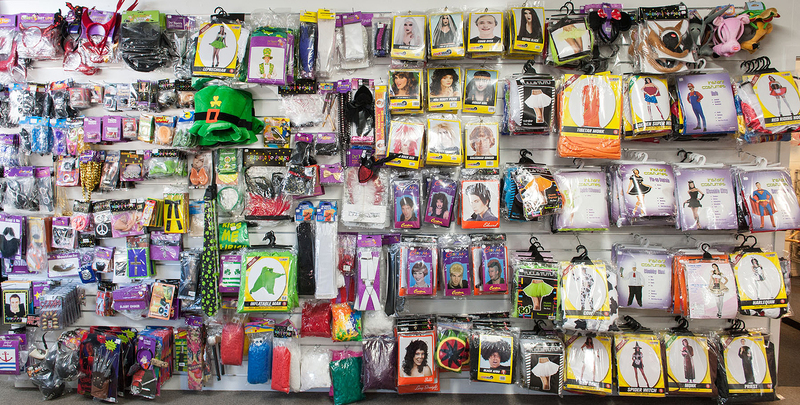 Great for Western parties. 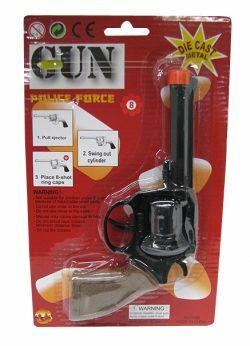 Costume accessory long bullet belt. 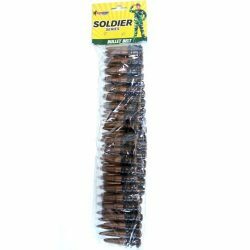 Mexican, army military, camo themes. Black satin garter with black lace trim. 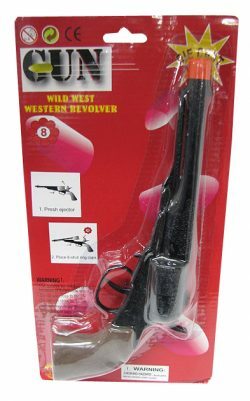 Die cast cap revolver gun. 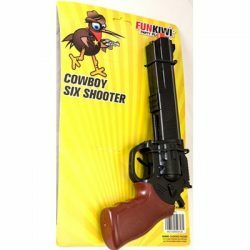 Die cast cap western revolver gun. 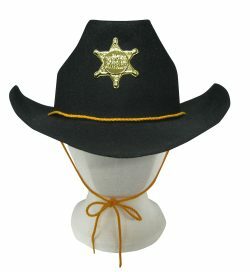 Black feltex cowboy hat with gold sheriff badge. 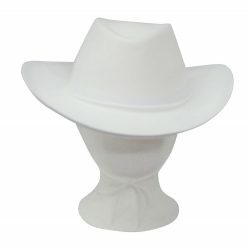 Standard cowboy hat in feltex -white with a white ribbon band and drawstring. 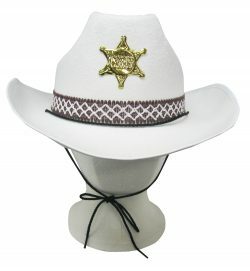 White feltex cowboy hat with brown and white cross hatched band and gold sheriff badge. 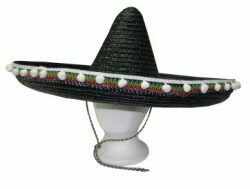 Deluxe Mexican hat in black with silver trims,stone details and neck cord. 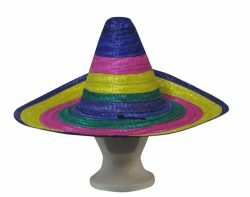 Straw Mexican sombrero hat in multi colours of purple, pink, yellow and green. Black Mexican sombrero with white pom pom trim and neck ties. 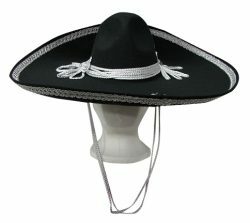 Mexican black sombrero with silver trims. 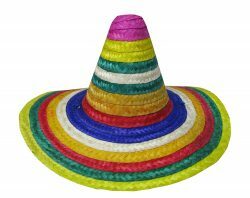 Multi coloured striped Mexican sombrero. 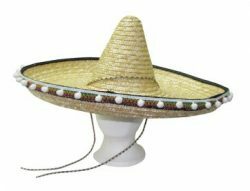 Natural Mexican sombrero hat with white pom pom trim and neck ties.